The entire GDI sign up process takes about 3 minutes in total but we realized that for new members, some steps can be a bit confusing. This section is intended to address every step of the sign up process. STEP 1: Pick a catchy username. Something that describes a financial opportunity etc.. I decided to use a very simple username, for example, gdite. The Username is important because you will be using it every single day when you promote the GDI customized links. So think carefully about the username you want. STEP 2: This step is self explanatory. Opt for the first option(Interested in both the Income for Life and Address for Life package)in Why are you registering with us today? Why are you registering with us today? STEP 3: Enter your full contact information. It is secure. 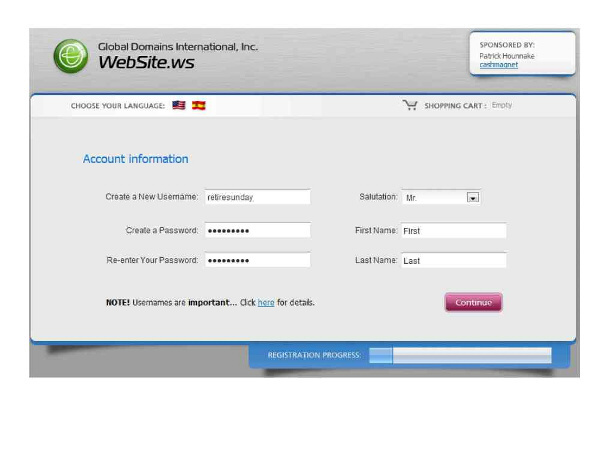 STEP 4: Choose a .WS domain. Mine is gdite.ws To make it easy, you can pick the same name as your username (or your first and last name). Just remember that if you decide to create a website later on, this domain name will be your website name; so choose it wisely. Do NOT pick a .NET or .COM. If you do, you will pay more than the regular $10 per month that GDI offers. Do NOT select a premium domain neither. They are more expensive. STEP 5: As a check, you should see an amount of ONLY $10 on this page. If you see an amount higher, you have done something wrong. Also, you do NOT need to add "Domain privacy". STEP 6: Click Continue. You do NOT need to add GDI Premium at this point. When you begin making income, you should consider adding the Premium membership to your account because of the tremendous benefits it has, such as allowing you 3 gift cards every month. You can give those gift cards to friends who are hesitant to join, so that they can sign up for free for 30 days! The premium account has many (many) more attractive features. A GDI premium member pays $50/month. You should be paying $10/month until you start generating some serious income. STEP 7: Remember, this is RISK FREE (No money down) for 7 days. Once your free trial is over, GDI will debit your account automatically for ONLY $10/month. At least 90% of new members stay with GDI after their 7-Day Free Trial because they enjoy the income opportunity that GDI offers. And I know you will stay as well. 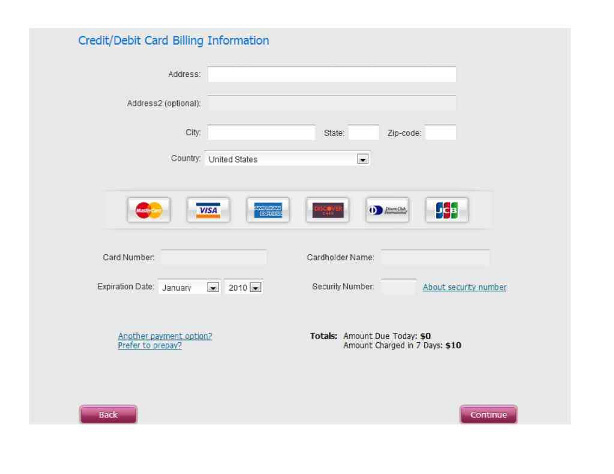 GDI offers 5 differentpayment options - Credit, Debit, Prepaid, Paypal and Bank Wire. STEP 8: Enter your payment information. GDI does NOT charge your account unless and until your 7-day Free Trial is complete. Please verify that the total amount shown at the bottom of this payment page is ONLY $10. Important information when signing up for GDI. for GDI services, especially when creating an account. STEP 2: This step is self explanatory. 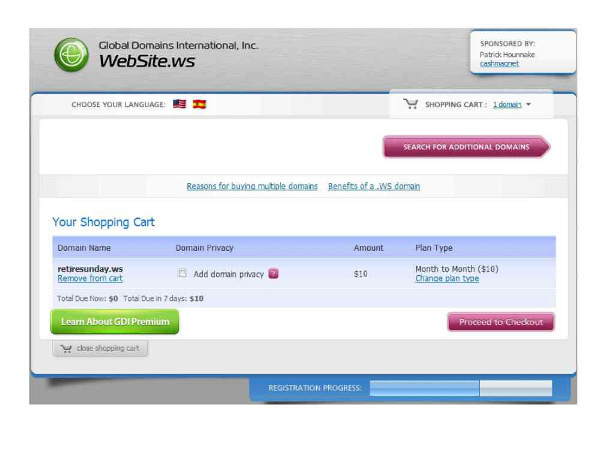 STEP 4: Choose a .WS domain. Mine is wkfong4136.ws To make it easy, you can pick the same name as your username (or your first and last name). Just remember that if you decide to create a website later on, this domain name will be your website name; so choose it wisely. Do NOT pick a .NET or .COM. If you do, you will pay more than the regular $10 per month that GDI offers. 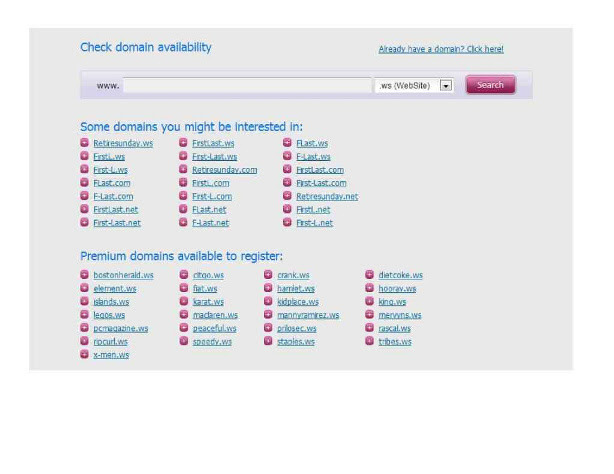 Do NOT select a premium domain neither. They are more expensive. STEP 7: Remember, this is RISK FREE (No money down) for 7 days. Once your free trial is over, GDI will debit your account automatically for ONLY $10/month. At least 90% of new members stay with GDI after their 7-Day Free Trial because they enjoy the income opportunity that GDI offers. And I know you will stay as well. GDI offers 5 different payment options - Credit, Debit, Prepaid, Paypal and Bank Wire. STEP 8: Enter your payment information. GDI does NOT charge your account unless and until your 7-day Free Trial is complete. Please verify that the total amount shown at the bottom of this payment page is ONLY $10. So I put my doubts aside, took the first step and followed the simple instructions were given to me in that email. Copy this text or page and send it to (you can also advertise this text on your own website as I have done it) at least 40 people. Keep the number 40 in your head, 40 is a good number of people that you can easily reach on the Internet, hundreds and even thousands of them could emerge. And now that you are #1 on the list, you will receive 78,125.00 Dollar (78,125 x 1 Dollar).